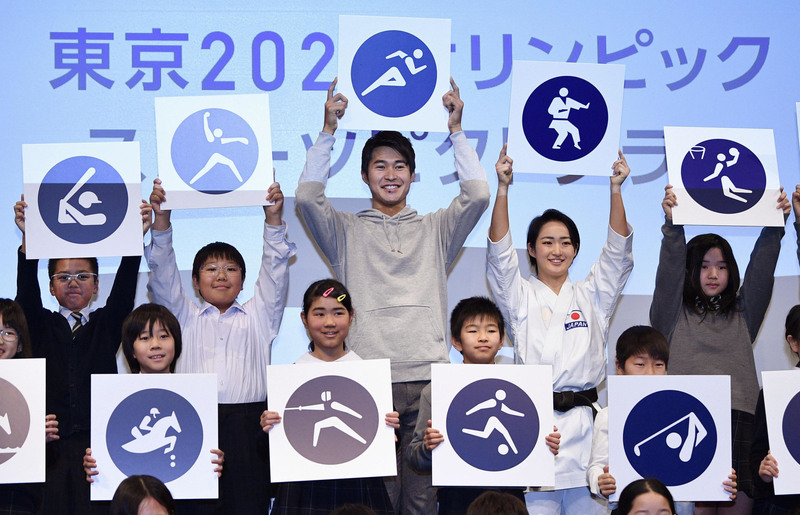 Japan on Tuesday marked 500 days to go until next year’s Tokyo Olympics formally begin as the local organizing committee unveiled a set of pictograms representing the different sports and competitions to be contested at the 2020 Summer Games. Also Tuesday, Yoshiro Mori, president of the Tokyo Organising Committee of the Olympic and Paralympic Games, revealed that the 2020 torch relay will start at Fukushima Prefecture’s J-Village, a sports facility that was used as a base for workers heading to the Fukushima No. 1 nuclear plant in the initial stages of the 2011 meltdown crisis. The choice is designed to underline reconstruction efforts in the Tohoku region, which was hit by a massive earthquake and tsunami on March 11, 2011, leading to meltdowns at the Fukushima nuclear plant. 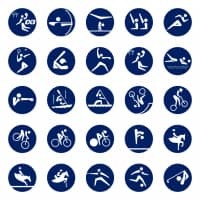 Organizers revealed the 50 Olympic pictograms at an event in Tokyo, which was joined by two medal-winning Japanese athletes. A number of events were hosted in the capital and surrounding areas to mark the 500-day milestone and set the mood for the games. The pictograms, which have become part of every Olympics’ unique livery, were first introduced in 1964, the last time Tokyo hosted the event. 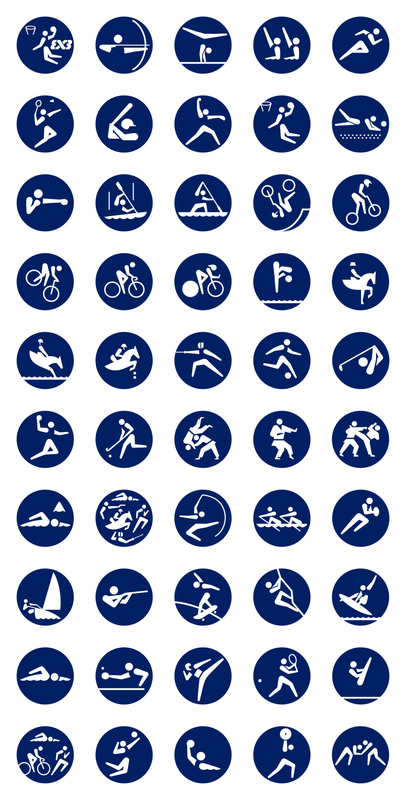 The pictograms for the 2020 Games are based on the 20 that were used at the previous Tokyo Olympics. Kiyo Shimizu, a gold medalist in the women’s karate kata event at last year’s Asian Games, said the karate pictogram looks “cool and realistic,” and struck the same pose as the icon for cameras. The organizing committee collaborated with the International Olympic Committee and sport governing bodies in creating the 50 icons. A team of some 10 people, including graphic designer Masaaki Hiromura, started developing the pictograms in June 2017. The bus will spend a few days in Tokyo before heading to Fukushima, Miyagi and Iwate prefectures. Softball, the first competition of the Tokyo Games, will be staged in Fukushima Prefecture on July 22, two days before the opening ceremony. 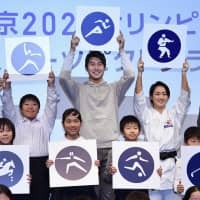 The 2020 Tokyo Olympics, which will have its opening and closing ceremonies on July 24 and Aug. 9, respectively, will feature a record 339 events. Of the 33 sports, four — karate, skateboarding, sport climbing and surfing — are being staged for the first time, while the dual baseball and softball tournaments return after being dropped from the core Olympic program after 2008. Meanwhile, preparations to stage the competition for some 11,000 athletes from around the world are making progress. Most of the venues were 50 to 70 percent complete by the end of January as the construction efforts sped up ahead of test events that will kick off this summer. The games’ centerpiece, the new National Stadium located in Tokyo’s Shinjuku Ward, is poised to be completed in November. Construction workers finished building the iron framework of the venue’s trademark wooden roof in February. The organizers said in January they will begin accepting ticket applications from Japanese fans as early as this April.